I think I understand the word “saudade”, in Romanian we call it “dor”! Your mousse looks delicious, I think it goes well with the strawberries. I always love hearing about words that exist in other languages that have no English counterpart. Italian has a few but nothing quite like saudade! How lovely (not the feeling, but the emotional richness of it…if that makes sense). 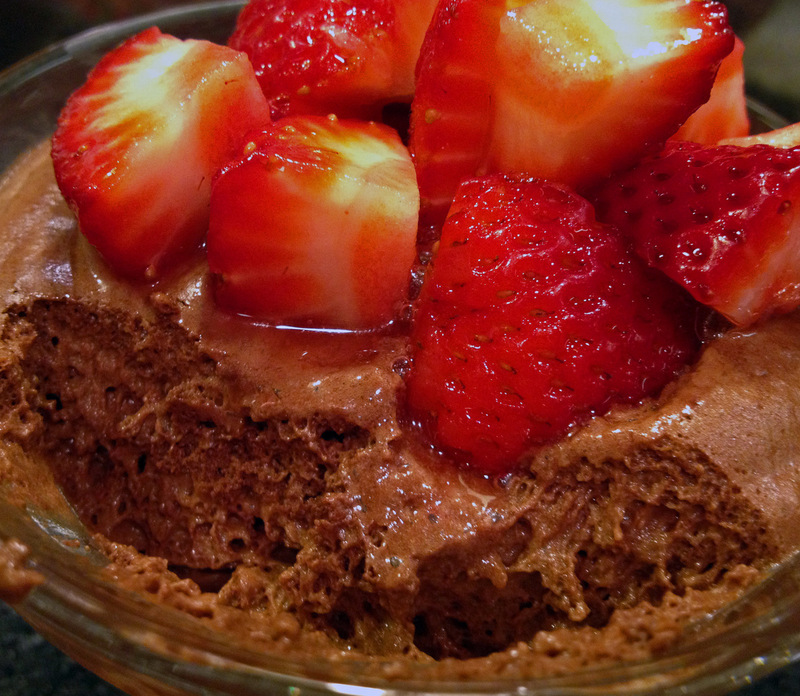 This mousse looks amazing! I can’t believe that it’s really just chocolate and heavy cream! I am a complete sucker for languages – love how different languages deal with expressing emotions. Oh Sally, I have saudade for all of Europe, so I completely understand! Perhaps it’s like a home-sickness phenomenon? Beautiful mousses! Home-sickness is close enough to one of the meanings of saudade, but it also applies to missing someone who passed away, or your childhood days… Not sure you ever listened to the typical music from Portugal, “fado”. Fado is all about saudade that is so ingrained in the Portuguese culture. When I visited Lisbon, we went to a particular spot where the ships used to leave shore and the view of the open ocean from that spot is unforgettable! You can sense the full meaning of the word saudade standing right there. It’s very romantic, in a way. A beautiful word. Sally: This mousse looks very light indeed! (and inviting too). I thought that you has saudades from Brazil but it is Paris. How interesting is that! But I can understand. When I am here eu sinto saudades do Brasil but when I am there, eu sinto saudades dos USA. 🙂 It is like having two dear homes. Oh, how wonderful! Congratulations on 50 years! That is a milestone that unfortunately I won’t be able to make it, unless I live to be 90 and Phil 98! Please do enjoy a special glass of wine for us! If you can stop by at Les Deux Magots, do so… it is our special place, well, one of them 🙂 And make a point of walking underneath the Eiffel when they have the light show on, at the hour! OH, my… saudades, that’s what it is! Again, congratulations on 50 years… have a wonderful time in June! It does say everything…. what a beautiful line! Isn’t that something? Apparently this was developed by a French patissier, who wanted to have a mousse as light and airy as possible. Well, I call his recipe a success! 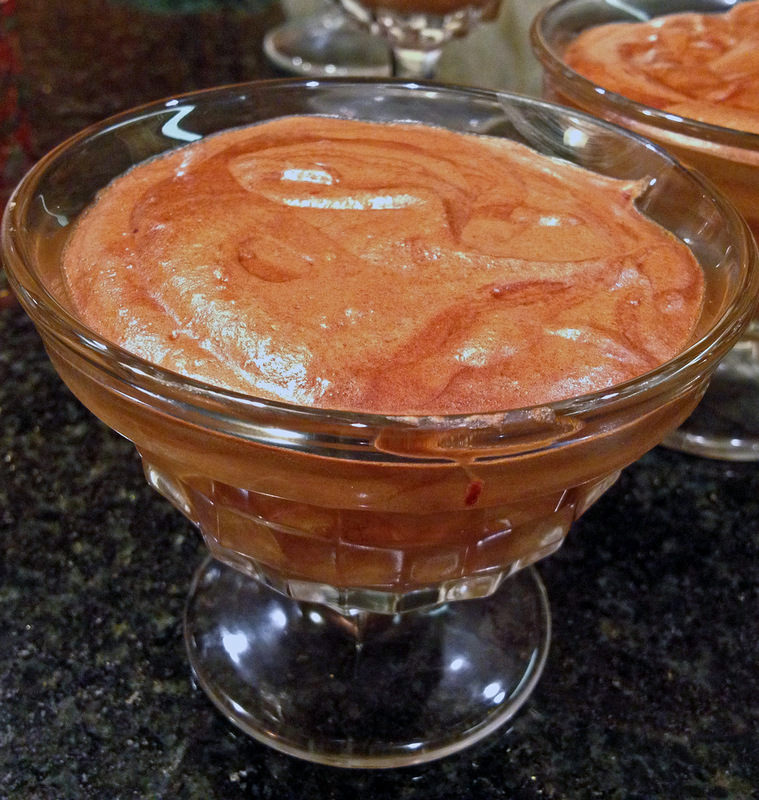 Your mousse looks delicious Sally…creamy and rich…a perfect way to end an elegant dinner. Yes, I tried to explain “saudades” to my husband and there is no word that can truly do it. Saudade is by far one of the most poetic and beautiful words – I know that the German language is supposed to have very specific words to describe feelings (and things) – I often wonder if saudade is something they defined as closely in German. Magnifique ma belle! It does look light as a feather…you’ve illustrated it well but I think you need more excuses to make desserts beyond having guests over :). Perhaps you can practice your genoise again for just you & Phil! (loved the story and can relate! heehee, these things are always funny retrospectively ;-)). Love the addition of the berries here. I promise to try the genoise sometime this year. From now to Dec 31st, 2013. There you have it. A little “ma belle”, and I lose my common sense. Sounds & looks delicious! Mousse that isn’t too heavy? Perfect! Perfect for my taste buds. Thanks so much for your kind words, Sally. The comfort offered from my food blogger friends has been incredible. 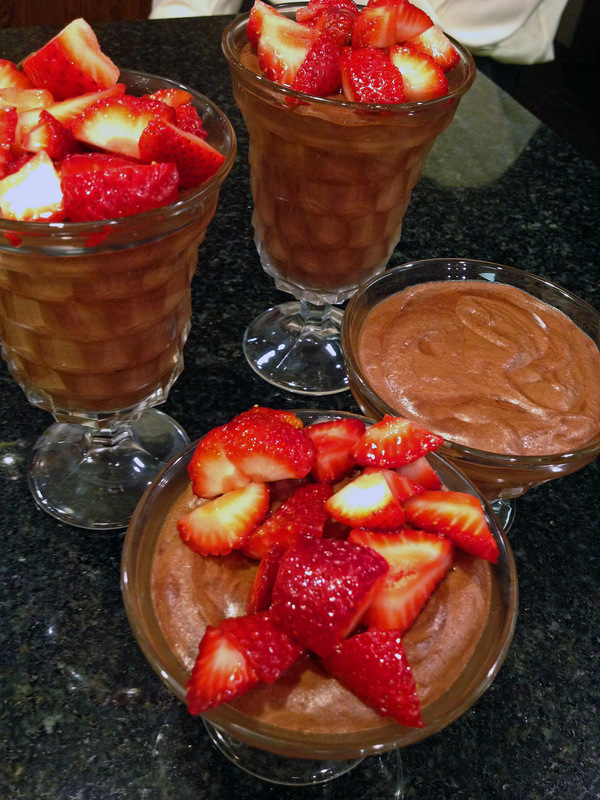 PS…your chocolate mousse looks superb. My family would adore it. That’s a perfectly prepared chocolate mousse. And I love it loaded with seasonal fruits. So good to “see” you here! Thanks for stopping by, Shweta! Will check out your version right away….